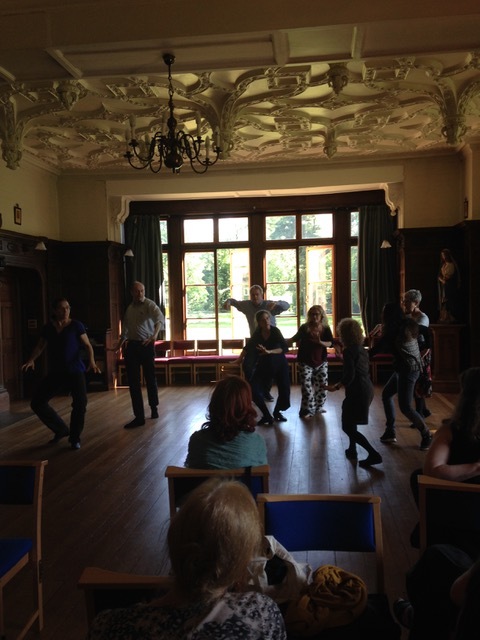 Participants travelled from across Europe and the USA to share good times and important talk about their shared passion for historical dance on a sunny weekend in rural Buckinghamshire. Theresa Buckland, one of our keynote speakers, talked about “Dancing the Past for the Future: Early Dance as Cultural Heritage”. She would like to see all first year dance students equipped with a “map” of dance over the centuries and who knows — it may happen. Edith Lalonger came from Paris to deliver 2 talks on Rameau, one on his use of the Senses and one on the reception of the Ballet Figuré in Zoroastre. Her workshop on dancing like demons and furies was atmospheric and almost frightening. The Conference offered lots more on virtually every period of dance from the 15th to the early 20th century. Watch out for the Proceedings which will appear as quickly as can be and bring you the latest research by experts in their fields. Meanwhile, you can take a look at what went on in previous years here and order copies here. at St Katharine’s in 2020.